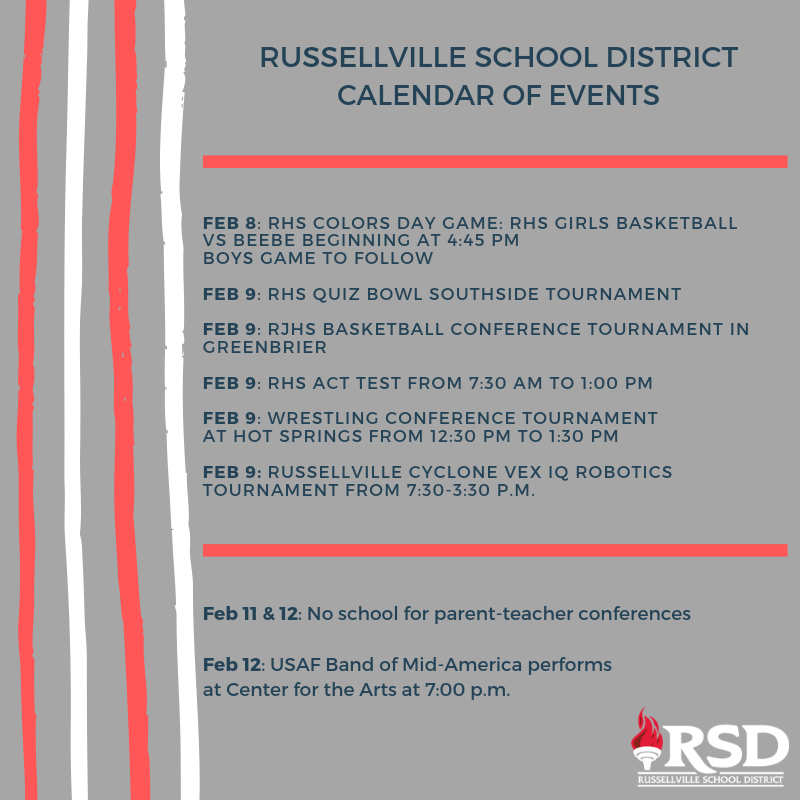 Lots going on this weekend in the Russellville School District! Here are just a few; remember free admission for all students to school-sponsored events! Show your support for our schools and their amazing programs!